1.3.3 Minimalist Root Login to X ? 1.3.6 Cloning of Bug Reports ? Welcome to Fedora Weekly News Issue 160 for the week ending January 25th, 2009. A small sample of this week's contents: Announcements notes upcoming events and deadlines for Fedora 11. PlanetFedora picks up on some communication problems in "General" and shares "How To" information on disabling the system bell. Developments rounds up some "Fedora 11 Release Activity" and synopsizes the debate around a "Minimalist Root Login to X?". Infrastructure is back with some essential information on "Fedora Security Policy". 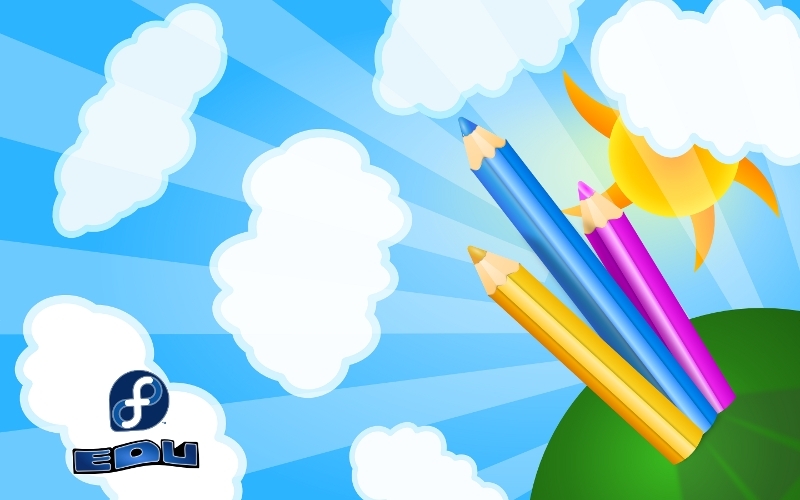 Artwork shares the "Fedora 11 Release Banner". SecurityAdvisories provides a handy list of essential updates. Virtualization explains "QEMU VM Channel Support". We are pleased to have an AskFedora Q&A covering the advisability of using the "Ext4 Filesystem on Solid State Disks". Keep sending your questions! John Palmieri (on behalf of Luke Macken and Mairin Duffy) announced the Moksha Project and the Fedora Community Project. They have been consolidating "the Fedora Infrastructure bits under one unified user interface", and have "decided to split the efforts into two projects." "Fedora Community aims at being a portal interface for Fedora Project members to collaborate within and find information about the diverse Fedora universe. It is created from applications built on top of the Moksha platform. Fedora Community is assembled from a wide-ranging set of modules that integrates existing Fedora Infrastructure components such as koji, bodhi, FAS, and PkgDB." Tom "Spot" Callaway announced that the Fedora Packaging Committee has made some changes to the packaging guidelines. For details, read the full announcement linked below. The Fedora 11 Alpha freeze has passed, and "we still have a few feature pages in need of an update. Several have not been updated for a month or more," according to John Poelstra. If these pages are not updated by January 28th, FESCo will be asked to drop the features from Fedora 11. Thorsten Leemhuis expressed some concern over important communication and decisions taking place over synchronous/real-time mediums (like IRC or conferences like FUDcon) without the ability for people unable to attend to participate. Michael DeHaan agreed and used a personal example of trying to maintain software that runs on EL-4 through Fedora 11 to explain the importance. "I have to use the old libraries and mostly only get to see new releases as things that break API compatibility or bring new bugs...I care about the environment more than the technology." Michael continued, "While many developers see Fedora is about technology, as a mostly "upstream" guy, the joy I find in it is really just about collaboration and working with people all over the globe." Jef Spaleta continued a disagreement with Mark Shuttleworth over the fact that Canonical has yet to open source some of the community-related components of Launchpad. Dave Jones mentioned an upcoming change to the p4-clockmod driver. "It no longer exports a cpufreq interface to sysfs. This will no doubt have some people complaining that they can no longer change their CPU frequency. The thing is, they never could." He then explains why such a feature ever existed. Harish Pillay compared the new White House website copyright policy with that of a number of nations. Sebastian Dziallas and the Fedora Education SIG announced the preview of an unbranded Education Remix. "As this is still based on F10, the main purpose is to gather feedback concerning the spin for F11." Michael DeHaan wrote about some of the advancements being made in order to support the provisioning of large datacenters and large-scale virtualization setups under Fedora. Máirín Duffy showed off some new mockups of screens for the Fedora Community Project. James Morris explained how to work around an issue where MacBooks have trouble talking to projectors over the VGA output. John Poelstra started an interesting thread[3,4,5,6,7,8] (only some of which was serious) about disabling the system bell. Who knew that such an ancient component (a relic of computers from decades ago when soundcards had yet to be invented) could be so interesting? An update on problems with NFS mounts was posted by Warren Togami. It was decided that nfs-utils will revert to its pre 2009-01-14 behavior. Rahul Sundaram requested that knowledgeable folks would help build the Release Notes for Fedora 11 by adding relevant information to the wiki. After Rahul got the ball rolling, with some information on the use of ext4 as the default filesystem, the experimental provision of the btrfs filesystem and more, Richard W.M. Jones added information on the MinGW windows cross-compiler and Todd Zullinger added information about git-1.6. The 2009-01-23 Rawhide Report contained some large lists of broken dependencies which were pounced on by the respective developers. As the majority were due to the new MySQL mentioned above Jesse Keating asked why his advice to use a special tag had been ignored. Tom Lane replied that there had been no objections when he mooted the idea a week ago and that a non-standard tag would cause more work for affected developers than the current rebuilds. Jesse re-iterated his request to "[p]lease consider using it in the future if you're going to break such a wide array of packages." Richard W.M. Jones reported problems using yum on Rawhide. Tom London suggested and Richard W.M. Jones confirmed that reverting to sqlite-3.6.7-1.fc11.x86.64 fixed the problems. It transpired that there was indeed an SQLite bug which was quickly fixed by Panu Matilainen. Minimalist Root Login to X ? Warren Togami suggested "mak[ing] root logins from GDM a stripped down desktop with only a terminal and a menu with only configuration tools [and making the desktop] ugly and with a very obvious note explaining why [users] shouldn't be logged in as root." "Nodata" was among those who wondered if Warren's use cases "[...] where /home filesystem is full and logins fail, or /home is remote and inaccessible[...]" were anything other than odd edge cases. Jeff Spaleta and Chris Adams expanded upon this line of thought: "[...] if /home is full, can users really not log in? If that is the case, that's broke and should be fixed. The user should be able to log in and remove files." Back in the later thread which sought to deal with some of the difficulties raised above Tom spot' Callaway suggested: "A Rescue Mode' in GDM which goes to a root session with minimal apps, marked as "Rescue Mode", rather than a root X login (even though it does need root credentials)." Lyos Gemini Norezel preferred that "[...] the root login should use the user selected interface (gnome, kde, xfce, etc)" but Matthew Woehlke emphasized the maintenance benefits of choosing a single Desktop Environment and forcing that as the safe root login. Yaakov Nemoy announced a "[...] respin of Fedora with packages for doing OSM and cartography installed out of the box, or included on a LiveCD and/or LiveUSB. For OSM people, the primary advantage is a live usb stick that can be used at mapping parties to save time cono/guring user computers to do mapping. The USB stick can then be brought home, and the user can continue doing mapping there." Jesse Keating drafted a definition of provenpackager' (see FWN#151[2)]. Alex Lancaster was worried that too many hoops would mean that maintainers such as himself would lose motivation to continue their work. As a subsidiary concern Alex was worried that there were still some packages not being opened up. KevinKofler assured Alex that he would become a provenpackager' based up his sterling work and Jesse confirmed that this redefinition and re-seeding of the `provenpackager' group was in part to address such concerns. Cloning of Bug Reports ? Jóhann B. Guðmundsson asked for input, in the form of suggestions and votes, as to whether Bug Hunters (which later seemed to mean testers, but not triagers) should file a separate bug entry for each of: past supported release, current release and rawhide or just annotate a bug for one of the former with a note that it was present in the others. There was general agreement that mailing list votes were ineffective and unwanted. Kevin Kofler objected to the tack taken by Jóhann which seemed to assume an authority over a decision which would affect not just QA, testing and triage teams but also packagers and maintainers. It appeared that the matter would be elevated to FESCo for a decision but as of going to press this had not happened. Mark McLoughlin suggested a more flexible policy and warned that "[...] you can be sure you'll have maintainers who haven't read or replied to this thread waking up and getting annoyed that they've 3x bug reports to deal with :-)"
Jesse Keating argued that the multiple bug-entry option was preferable on four heads: 1) that bugs may have different causes in their releases; 2) users of past releases will not be helped by closing bugs on rawhide; 3) bodhi updates are not pushed at the same time; 4) maintainers are the only people with the knowledge to make such a call. susmit shannigrahi asked on the @fedora-infrastructure-list asked why, in the fedora-infrastructure implementation of puppet when we add a new file, in the .pp file the path is written as puppet:///config where as the actual path of the file is in the configs directory. To this Jeroen van Meeuwen answered  by saying that the [config] fileserver mount may point to /path/to/configs which may allow this discrepancy to exist. Mike McGrath wrote on the @fedora-infrastructure-list about the proposed Fedora Security Policy. Mike asked that he would like everyone in the sysadmin-* group to be compliant with this policy. John Poelstra wrote  on the @fedora-infrastructure-list about the Alpha Release Readiness meeting on the 3rd Feb 2009. Mike McGrath replied that he will be attending the meeting on the behalf of the Infrastructure team. With the Alpha release of the upcoming Fedora 11 approaching fast, Paolo Leoni created a banner to be used on various websites for the announcement "Since we are still in a initial session for the official F11 theme, I've used a simple image to point the birth of a new fedora version". Following a request from Sebastian Dziallas for updated graphics for the Education SIG, Maria Leandro posted a couple of very cute graphics, with one of them being the favorite of the team. She still to add some improvements, incorporating the feedback received. Máirí­n Duffy reported on @fedora-art about the results of an informal survey she ran on her blog about the wallpapers used by various people "So far as I've been able to read through them, they seem to fit into 3 categories: #1 stick with the default (distro default or desktop env default) or flat solid color #2 personalized no matter what (photos they took themselves or photos of family members) or a photo of an interest hobby (racecars, bikes, hometown, etc) #3 beautiful pictures of nature, usually with some depth". Máirí­n is trying to use this data so the Art Team can come with more useful wallpapers "we should think about these wallpapers that folks are actually using and try to create something that they will like having as their desktop background as much as possible". Mark McLoughlin announced the virtualization features in development for Fedora 11. Define a mapping of SASL authentication into the VNC protocol, and implement it for QEMU and GTK-VNC, providing strongly authenticated, securely encrypted remote access of virtual guest consoles. Assign PCI devices from your KVM host machine to guest virtual machines. A common example is assigning a network card to a guest. Mark McLoughlin "started sending out a 'Fedora Virtualization status report' to folks at Red Hat to keep people informed about what's going on." Mark also forwarded the report to @fedora-virt. The report identified 186 open bugs, and included information for effectively monitoring the package commits on the @fedora-virt-main list. Mark McLoughlin has been busy revising existing, creating new, and archiving old Fedora Virtualization wiki pages. You can help. Richard W.M. Jones proposed adding support for qemu vmchannels to libvirt. A vmchannel is a "communication channel between [a VM] host and various agents that are running inside a VM guest." Richard did note that "One problem is that it is qemu/kvm-only." As far as Daniel P. Berrange knew "this support is not yet merged in upstream QEMU and the syntax is still being debated." This made Daniel "wary of committing to support it in libvirt" at this time. The fact that it is a feature only for QEMU did not concern Daniel, saying "I've no problem adding vmchannel support to libvirt even if its only [implemented] for QEMU/KVM. If applications/users of it find that they really badly need it for xen too, then someone will step up to [implement] it." A question on Ext4, that has already been made the default in the development tree headed for Fedora 11 was answered by Eric Sandeen, Red Hat ext4 and XFS filesytems developer. Francesco Frassinelli wrote: "I've read that in F11 ext4 will be the default filesystem. What about ext4 on solid state disk? Many websites and bloggers say that it's better to use ext2 because of the journaling, but in some kind of operation (like applying upgrades) it's sooo slow. Could we'll use ext4 on our ssd without compromising their life? TBH I haven't tested ext4 on ssd yet, though we do have some in the lab, I just haven't done it." Eric Sandeen replied: "By default ext4 still journals pretty much the same as ext3 does, so if you want to minimize writes to your flash, it should not be significantly better than ext3 in that respect. However, there is a patch to ext4 (merged soon if not already) to allow it to run in a no-journal mode, so that may be a good option." Thorsten Leemhuis added: "FYI, it was merged for 2.6.29"